Character - Leader. Points: 11/14. Health: 9. 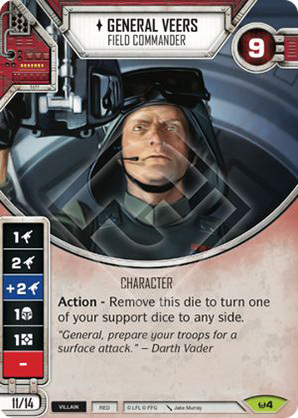 Action - Remove this die to turn one of your support dice to any side.